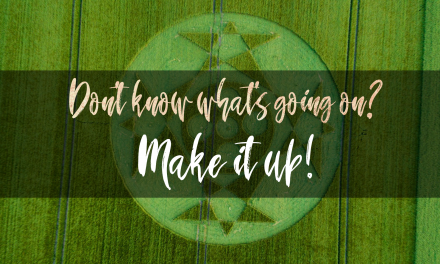 ‘Sometimes it takes several years for some truths to emerge’, writes Crop Circle Wisdom in regard to a post on the Twoism forum about crop circles, the circle makers formerly known as Team Satan and the band Boards of Canada. According to the writer Tucktonia on Twoism, Team Satan were responsible for two circles that appeared in 2010; one at Fosbury and the other in Warwickshire. 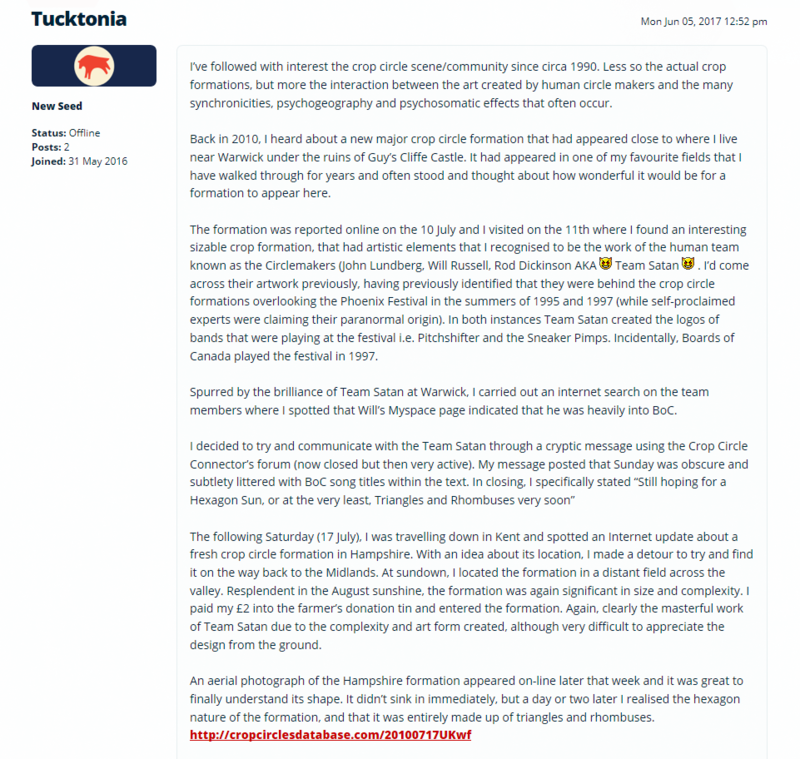 Tucktonia comes to his or her conclusions in an interesting manner, using a method that alternative historian Graham Hancock would be proud of. 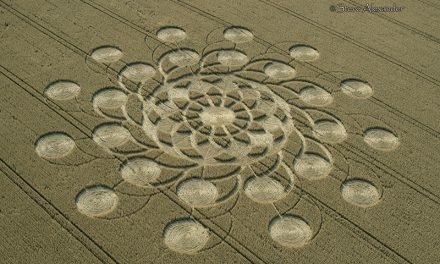 The Croppie reads similar speculation all the time, seeing various people named as the brains behind specific crop circles. On this occasion, as with the vast majority of those other guesses, objective reality and subjective ‘truth’ bear no resemblance to each other. 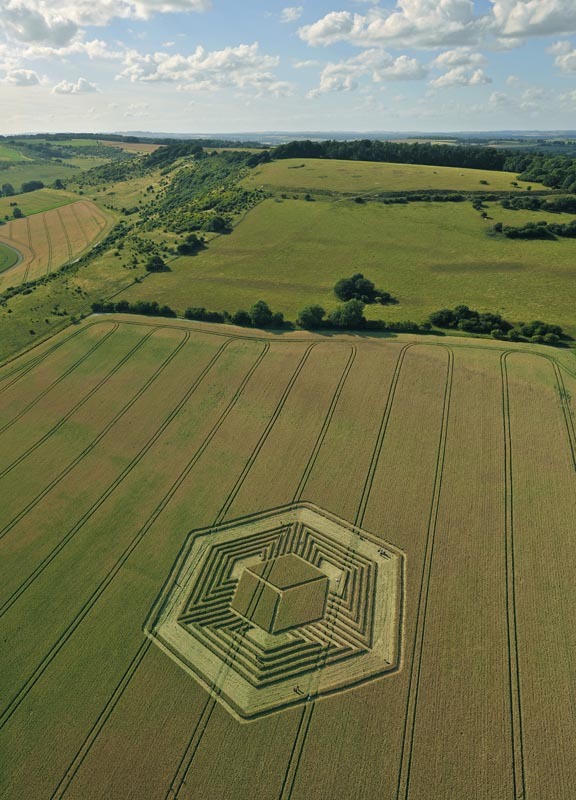 However, The Croppie doubts the folk that used to make up Team Satan would be disappointed to have been associated with two such fantastic crop circles. 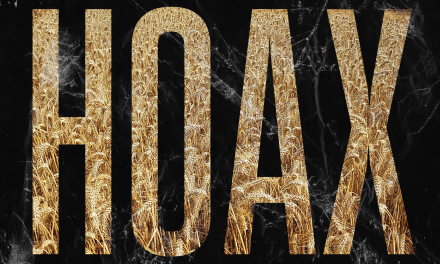 That Crop Circle Wisdom have uncritically reproduced the forum post as ‘truth’ says an awful lot about their uncompromising approach to the subject. Nice try, though. 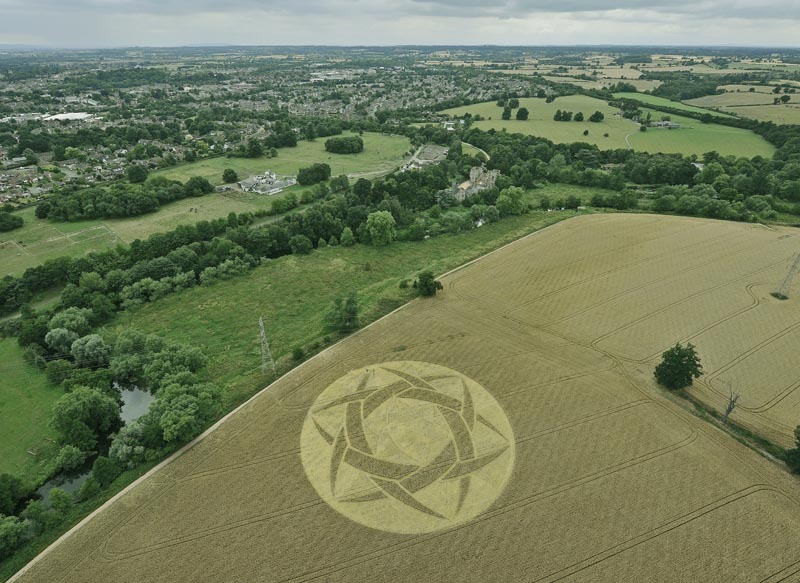 Lead photograph: Guys Cliffe crop circle, Warwickshire, 2010. Photo by Steve Alexander.